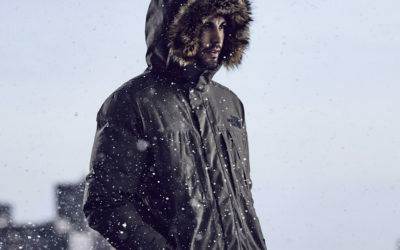 This season Canada Goose offers their Black Label collection which includes a few of your favourite Canada Goose models. On these products, you will still find the Canada Goose logo in the usual place (on the left arm) but the famous red, white and blue logo you are accustomed to will be replaced by a black and grey logo. The new logos are the same design and only use the different colours (shades) to offer a more sleek and discrete look. Other models are still being designed with the original Canada Goose logo so if you’re not ready to give up the vibrantly coloured logo you don’t have to. For those wishing for a little change and originality in their Canada Goose products, shop for the Black Label collection. Offering the same style, warmth and comfort, the Black Label Collection is sure to be a hit in the fashion world this season. Once you’ve figured out which Canada Goose coat is right for you, take a look at the Black Label collection to choose your favourite for the upcoming winter season. There is 37 thoughts on this article titled “What is the Canada Goose Black Label Collection?”. Hi, would it be possible to buy a black label so I can put it on my red label – I would like to make my coat more discrete. Hi Kathi, unfortunately, we do not sell the black label patches separately, only the coats. Do you have a date by when the new Winter collection will arrive? Specifically for the Trillium Parka? Thanks in advance! Hello there, we are slowly starting to receive our winter stock so stay tuned to the website and keep an eye on the new arrivals page. Can I order a Men’s Voyager jacket with Black label. Also how often to you restock different colors (black, blue, green, etc.) of this jacket? Hello Kirk, unfortunately, we do not have the Voyager available in the Black Label. It’s possible that Canada Goose does not make this model with a black label yet. As for reordering frequency, it really depends on the season and what is available. I don’t see any recent orders at the moment for this particular jacket. I have heard before that the black label chateau parka is lighter and thinner than the regular chateau parka. I just bought mine and my wife says the same thing. Is this true? Hello TC, the Black Label collection by Canada Goose is crafted the exact same way as the regular models so there is no difference in weight. The only difference between the two collections is the label itself. Hi, how come my wife’s new coat which is a black label has the red logo? She has the Altona parka black label. Hello Andrew, we have the regular Altona as well as the Black Label so it’s possible she chose the regular instead of the Black Lable. Both are the same price and exactly the same excluding the logo. Just wondering how come Canada Goose doesn’t have the Beechwood Parka listed on their site? Hello Maria, it is possible the jacket is discontinued but it is something you may have to contact Canada Goose about directly.